Cempaka is a small village 5 km from Martapura, and 45 minutes from Banjarmasin. 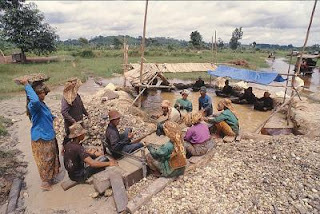 It is an old site of traditional diamond mine, using very simple equipment. In 1965 a large raw diamond of 167.7 carats was found. Martapura is the capital of Banjar Regency.